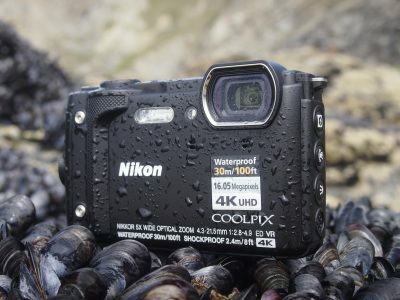 If you’re shopping for a waterproof camera, you’ve come to the right place! At Camera Labs I write in-depth reviews of cameras but understand you’re busy people who sometimes just want recommendations of the most outstanding products. 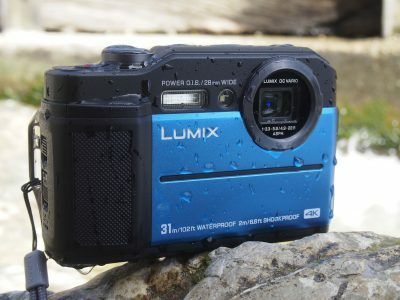 So here I’ll cut to the chase and list the best waterproof cameras around right now. Note like my other guides they’re also listed by review date, not in order of preference. The Lumix FT7 / TS7 is a rugged waterproof camera with 20 Megapixels, a 28-128mm zoom, a built-in viewfinder and the chance to dive deeper than rivals to an impressive 31m. 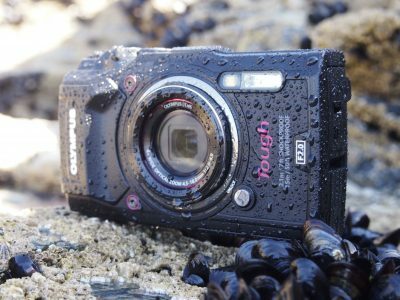 It's a bold bid to capture the premium waterproof rugged compact market from Olympus, so the big question is how it compares to the industry-leading TOUGH TG-5? In its favour, the Lumix FT7 / TS7 has the deepest waterproof rating of its peers, a viewfinder that makes it more practical for shooting out of the water, slightly longer telephoto reach, 4K Photo modes and a higher resolution with the potential to make bigger prints in good light. The TOUGH TG5 offers a wider lens (but a shorter telephoto), closer macro, built-in GPS, a temperature sensor, better quality slow motion video and superior overall image quality in low light thanks to a comfortably brighter lens and a lower resolution sensor. For deep divers, and those who spend more time on dry land, the Lumix FT7 / TS7 is the more flexible choice, but the TOUGH TG-5 remains the King in the water. The Nikon COOLPIX W300’s strength is that it’s a good all-round performer with a great balance of features. It’s got an excellent 5x zoom, a great quality 16 Megapixel sensor, GPS, barometer and electronic compass, plus 4K UHD video and Wifi with Bluetooth for background image transfer to your phone. The Olympus TOUGH TG-5 is roughly the same price or a little more, for which you get a brighter, but shorter zoom, more controls, better continuous shooting, and more advanced shooting modes. 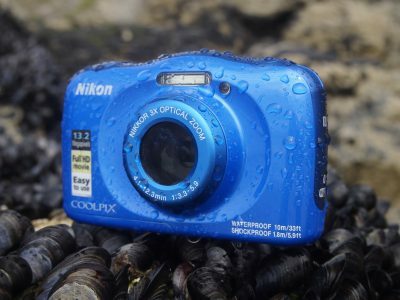 Alternatively if the W300's 4K video and SnapBridge aren’t doing it for you, think about the still available COOLPIX AW130 which you can pick up for a fraction of the cost with the same zoom and underwater credentials. Check prices on the Nikon Coolpix W300 at Amazon, B&H, Adorama, or Wex. Alternatively get yourself a copy of my In Camera book or treat me to a coffee! Thanks! The Olympus Tough TG-Tracker genuinely offers something new in the world of personal action cameras. If you like to collect as much data as possible from your activities, you won't be disappointed with what the TG-Tracker has to offer. While the 4k video didn't resolve perceptibly higher real-life detail than 1080p in my tests, it remains an excellent debut and I'm really looking forward to seeing where Olympus takes it next. Top of my list for improvements would be a fully articulated screen and better image quality, but for which it would have received a Cameralabs Highly Recommended award. 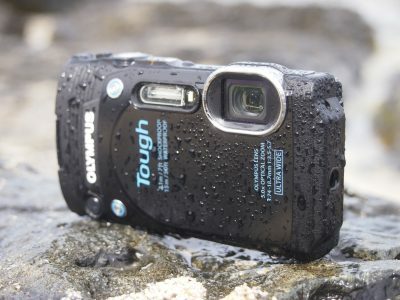 For now, the Olympus Tough TG-Tracker comes Recommended. Check prices on the Olympus TG Tracker at Amazon, B&H, Adorama, or Wex. Alternatively get yourself a copy of my In Camera book or treat me to a coffee! Thanks! I think the TOUGH TG860 is the real star in the Olympus rugged line-up. It offers a superior zoom, more versatile screen, better video and better support for shooting sports and action subjects all at a lower price than the TG4. You sacrifice the RAW mode, which is something a lot of people will be able to live without. A bigger loss is the bright f2-4.9 aperture of the TG4 but despite that the TOUGH TG860 remains a compelling alternative. 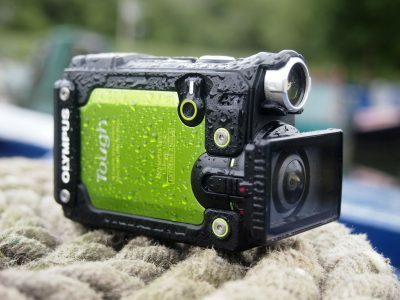 As it stands in the current crop of waterproof cameras, the TG860 earns our Highly Recommended rating. Support Cameralabs when you check prices at Amazon, B&H, Adorama, eBay or Wex. Alternatively get yourself a copy of my In Camera book or treat me to a coffee! Thanks!